Goldie is such a busy girl. 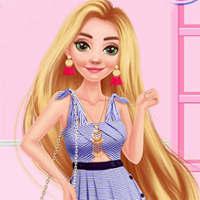 She has to make her way through the city and you can help her look great in this new dressup game! Goldie has a busy day ahead and she needs your help. She has to go all over her city and she needs to look fabulous. Give her some pretty outfits on her morning walk or on her date. She has to go to the park and to a high-class gala and to a cool party.